Facts on the Ground Mobile App is designed and developed by Simpalm for Americans for Peace Now’s. 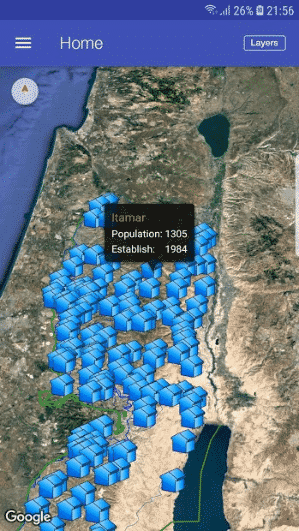 This settlements map app can be used to explore data from Israel’s Peace Now (Shalom Achshav) about Israeli settlement activity in the West Bank. 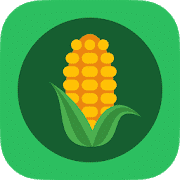 The iPhone and Android mobile app is available for free to download from App Store and Google Play Store. Several layers of organised map that show different types of data. Click on a settlement or outpost icon to display its name, population, and the year it was established. 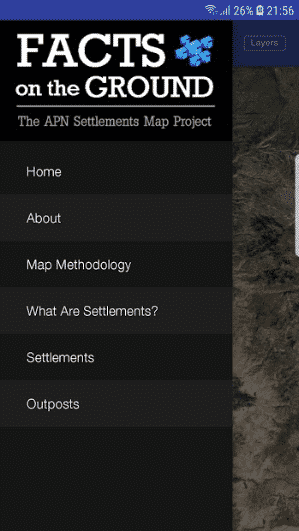 Click again on the name of the settlement or outpost to display a detailed profile. Client wanted to develop a complex map app based on KMLS (Keyhole Markup Language). The Map has to be built with several layers to show different types of data. We have built this settlement mobile app that represent all given areas on map through KMLS. The Mobile apps allows you to customize your view by selecting individual layers. The mobile app also shows population details by chart. This Mobile App has features like several map layers, customized view of map, Settlement, Outpost for detail and several other features.